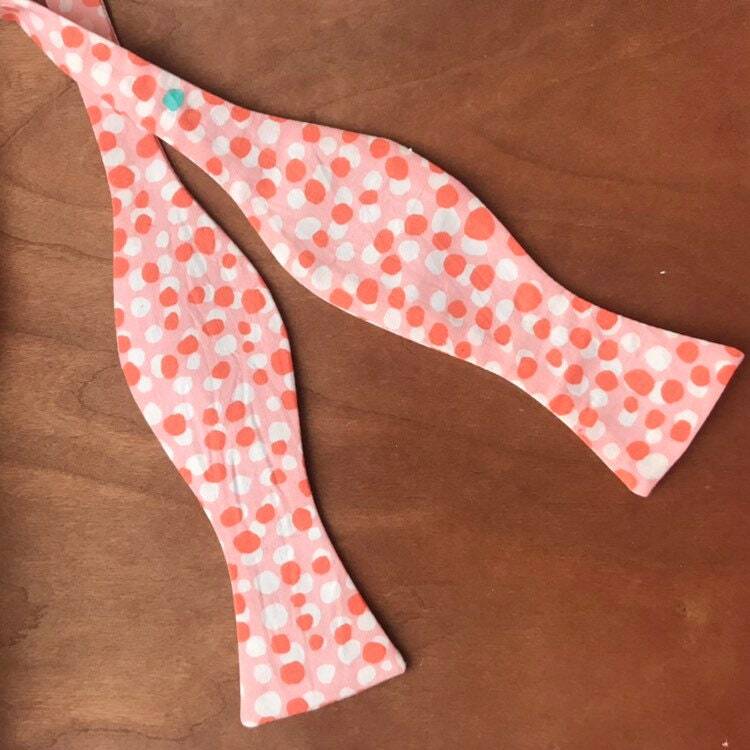 Eye catching coral print adult bow tie made from a beautiful cotton fabric. Coral with sporadic teal details. You won't see a print like this anywhere else! This twist on a classic polka dots is dapper and unique. This print would look great with a gray or a khaki suit of any shade or even a chino suit. This bow tie could also be dressed down and paired with a nice pair of jeans and blazer. Don't forget to get a coordinating pocket square from our shop! 100% cotton and handmade in the city of Brotherly Love. Our bow ties are self-tie bow ties with adjustable hardware. 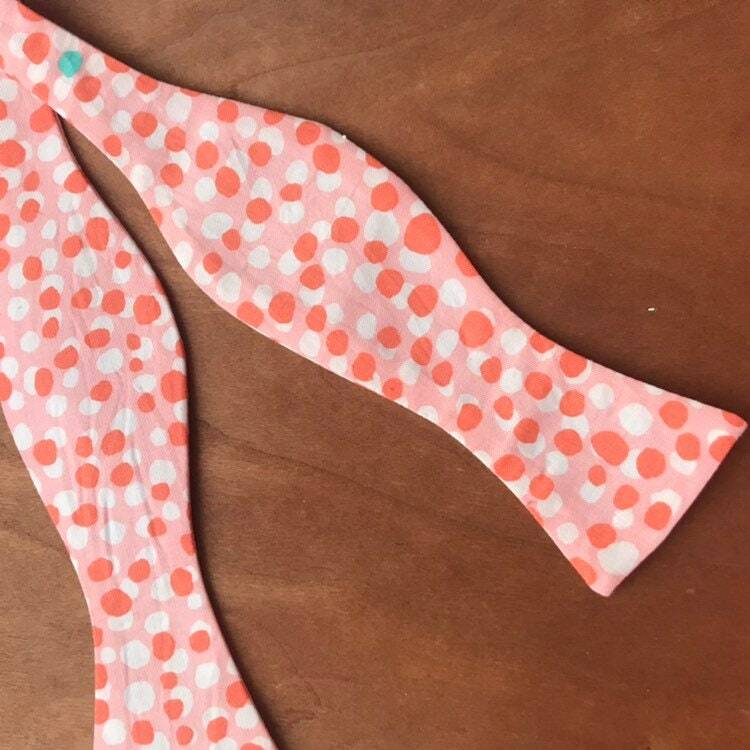 You get the traditional look of a real bow tie with the convenience of a pre-tied. Tie it once and use the clasp, or tie it every time. 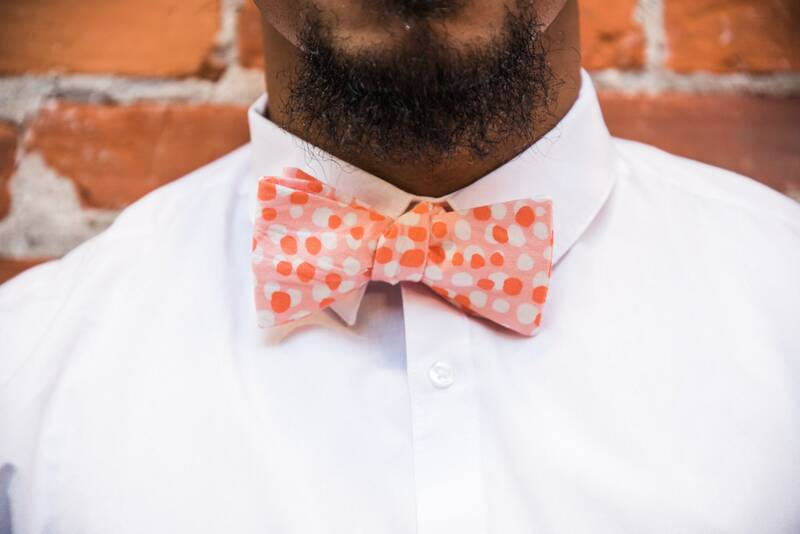 Each bow tie is hand cut from a continuous cut of fabric so print placement may vary. Hand wash only and iron on high heat. Please feel free to contact us if you have any questions. And don't forget to let us know if you want it to be pre-tied or left untied.